FOXBORO, Mass. 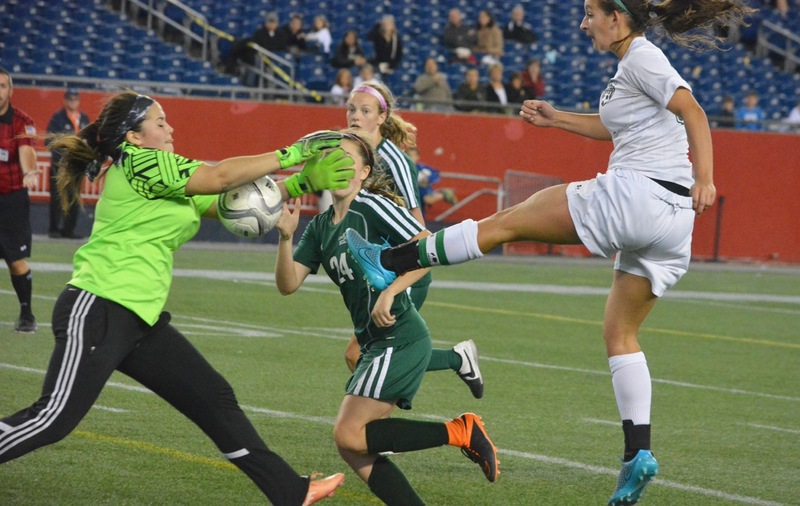 – Following Monday’s loss to Attleboro, Canton coach Kate Howarth told her team to leave take one night to get over the defeat and come back for practice on Tuesday ready to work and ready to prepare for Wednesday’s test against Mansfield at Gillette Stadium. 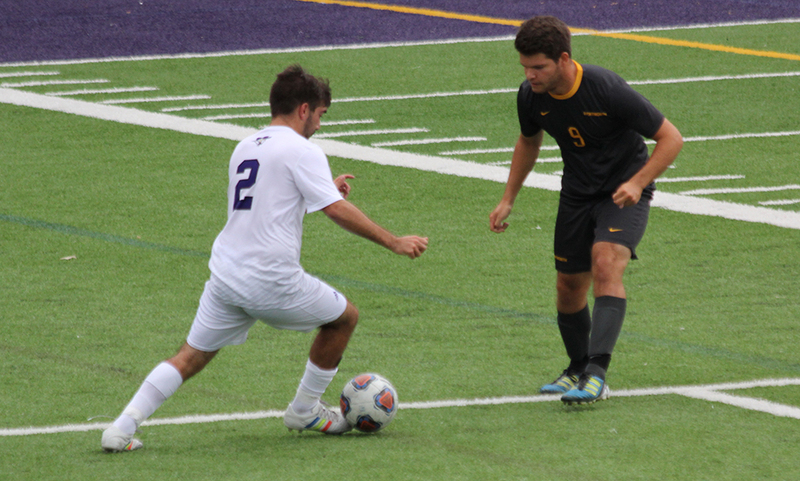 The Bulldogs played arguably their best game of the season, scoring in the opening 10 minutes of each half and then holding on against relentless Hornets pressure to pull out a 2-1 victory. Canton jumped all over Mansfield at the start of the game. The Bulldogs dominated the ball and moved it around from side to side, while left back Sarah Collins bombed forward with consistent overlapping runs. It was Collins that would open up the Mansfield defense for the game’s first goal. The freshman was fed by Sarah MacQuarrie down the left and she cut it back to Tessa Cudmore, who then fed the ball across the six-yard box to Hannah Link and she prodded it past Emily Gaumond. Collins’ ability to get forward and create scoring opportunities was due to a switch made by Howarth for the game. She moved MacQuarrie from right back to the center of midfield and the senior captain was a dominant figure throughout. The Hornets started to create chances near the end of the first half with Rebecca Bornstein creating an opening in the final 10 minutes but her cross from the right channel just missed the foot of Jen Kemp and went all the way across to Jackie Carchedi, but her shot sailed over the bar. Six minutes into the second half and MacQuarrie again popped up in an important position, driving into the box between a pair of Mansfield defenders who clipped her to give away a penalty. 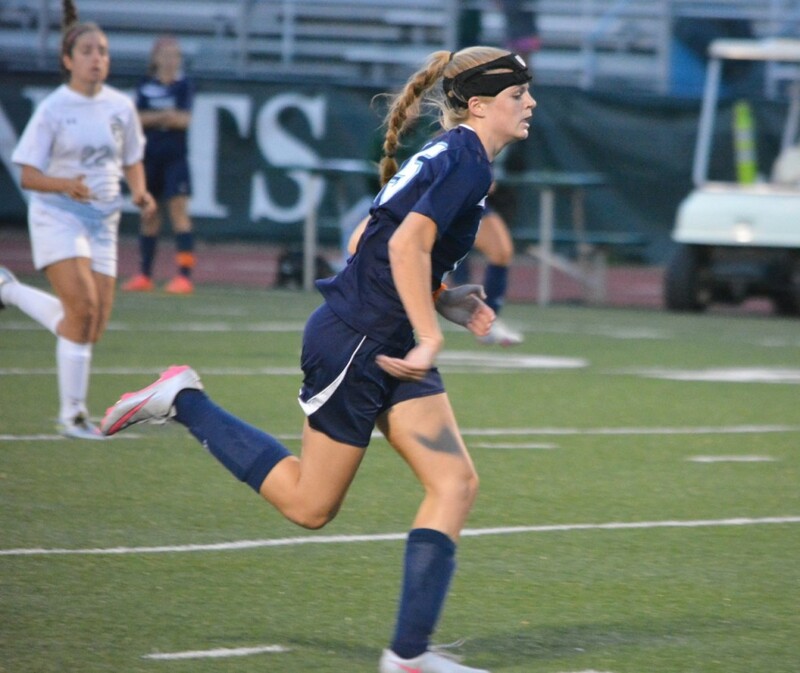 Center back Sarah Connolly stepped up to the spot and her shot past the outstretched Gaumond to make it 2-0. 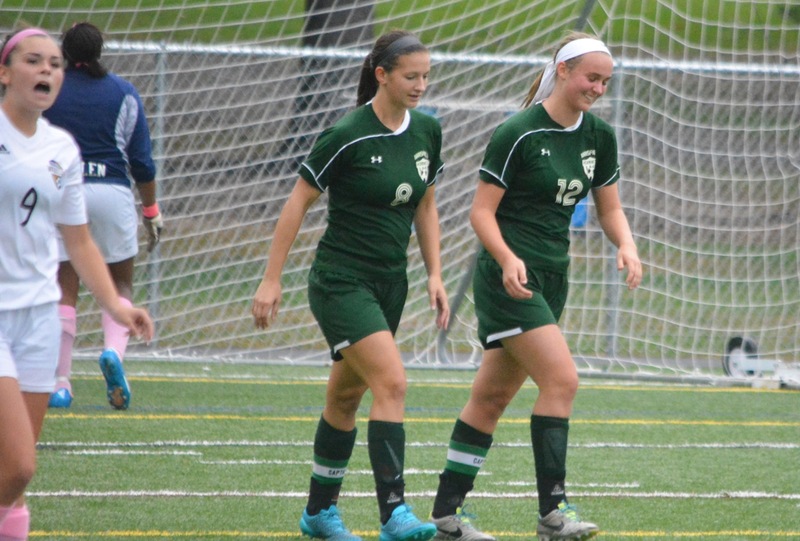 As the second half wore on and Canton continued to be in control, Smith moved junior Hannah Reiter up from the center of defense to lead the line as a center forward, which also allowed Carchedi and Kemp to move out wide. The switch instantly paid dividends with Reiter sending a header wide and then Kemp finding space on the left to send a ball back to Katie Bongarzone stepping up from midfield but her 20-yard shot was over the bar. With 15 minutes left to play, Reiter got Mansfield back in the game. Jordan Zarat pressed forward from right back and she played a quick pass in behind the defense that Reiter ran onto and slipped past Canton keeper Kathryn Doody. The Hornets continued to press with Bongarzone, Kemp, Reiter, and Carchedi all having chances that were saved or narrowly off target. The Hornets also had a late penalty shout when Carchedi went down in the box, but the official waved it away for a goal kick. In the final minute of the game, Mansfield had one last chance when the ball was headed into the path of Carchedi, who managed to get a toe on it under pressure from Collins, but Doody was out quick to block the shot and deny the equalizer. The Canton players stood together after the game, snapping selfies and looking around at their surroundings to take in this rare opportunity to play at Gillette. Unlike Monday, there was no reason for tears after this game. Canton will host Kelley-Rex leader Franklin on Friday night, while Mansfield will travel to Foxboro. MANSFIELD, Mass. 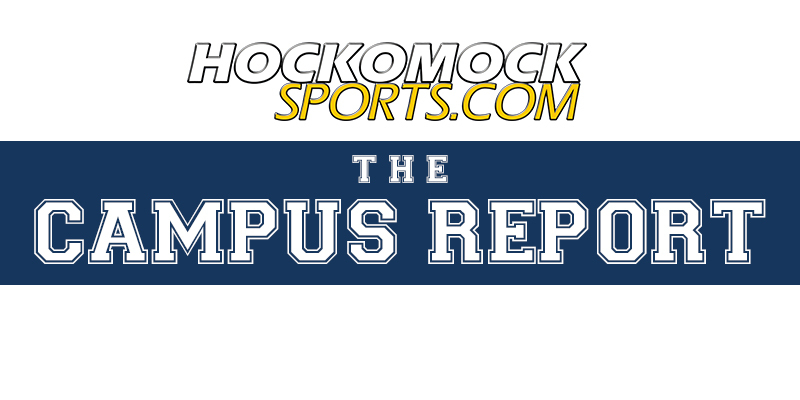 – The air was cool, even chilly, the lights were on at Alumni Field and Monday evening’s matchup between unbeaten Mansfield and Franklin girls’ soccer did not feel like the fifth game of the season. The action on the pitch felt like a state tournament game and the reaction of the Mansfield players after the final whistle showed just what it meant to the Hornets. Franklin went on the road and sent a message to its division rivals that it was still the team to beat with a 3-0 victory. Bailey Knous, Jamie Dragsbaek and Victoria Stowell were on target for the Panthers, but it was the back four and the defensive pressure in the midfield that both coaches credited for the win. The Panthers needed only four minutes to take the lead. Megan Georges picked up the ball in the hole behind the forwards and hit a perfect through ball to Knous, who managed to hold off Anna Chiaralonza and slide the ball past the onrushing Emily Gaumond. It was a struggle in the first half for the Hornets who had trouble matching Franklin’s pace and the control of the midfield. Mansfield created only one chance in the opening 40 minutes when Katie Bongarzone managed a shot from 20 yards that hit the angle of post and crossbar. Franklin was not creating many clear-cut chances but was keeping the pressure on the Mansfield back four. Alexis Stowell had a chance with a header on a cross from her twin sister Victoria and then created another scoring opportunity for Knous minutes before halftime only for Gaumond to make the sliding save. The second half was far more even with Mansfield starting to get more involved in the physical battles, but it was still Franklin that had the majority of the chances. Knous flicked a header onto Stowell only for Gaumond to come flying out and make the save at the feet of the forward. Mansfield made a change and brought junior Hannah Reiter from center back to the center of midfield to try and improve the Hornets attack. The Quinnipiac-commit made an instant impact with a dipping shot from 25 yards that forced Franklin keeper Dani Lonati to tip it over the bar. Despite the Hornets increasingly putting pressure forward, the Franklin back four managed to clear everything that came its way. The central defenders, Meghan Dieterle and Lauren Rudolph, worked well in tandem with one going to the ball and the other always there to cover. The outside backs, junior Nadia Havens and Abi Gipson, were able to keep track of Mansfield’s dangerous duo of Jackie Carchedi and Jen Kemp. “Before the game, my other outside back told me that she was sick and couldn’t play so I grabbed Abby and said next body up and she played well,” said Geysen. In the 70th minute, a Franklin break led to a corner. Rudolph played it into the middle and the ball bounced in the six-yard box before junior Jamie Dragsbaek volleyed in the loose ball to make it 2-0. In the final seconds, Victoria Stowell, who had been a dominant force in the midfield for the Panthers, wrapped up the scoring with a 35-yard free kick that soared into the back of the net and added some gloss to the final score. Mansfield (4-1-0) will host Kelley-Rex rival North Attleboro on Thursday afternoon. Franklin (4-0-1) will be back home to play Taunton.